1109 26th St S #6, Birmingham, AL.| MLS# 813365 | Richard Jacks UABLIVING.com 205-910-2297 | Birmingham AL Real Estate | Contact us to request more information about our Homes for Sale in the Birmingham AL area. UPDATED, MOVE IN READY and SO CONVENIENT! Located just steps from Virginia Samford Theater and within walking distance of parks and restaurants, this top floor condo has soaring ceilings, extra large rooms, tons of storage space, updated bathrooms and kitchen, laundry in the unit, even more storage in the basement, and assigned parking! It has coffered ceilings throughout the dining room and den and is freshly painted with beautiful blonde hardwoods throughout. The kitchen is spacious with an eat-in area, plenty of counter space, and great cabinets. The dining room is huge and could be used as an additional den. The sunroom has an incredible view of Red Mountain and makes a great office. The master bedroom is AMAZING, with cathedral ceilings and unique architectural details. The en suite master bathroom has an extra-large shower and is completely updated. 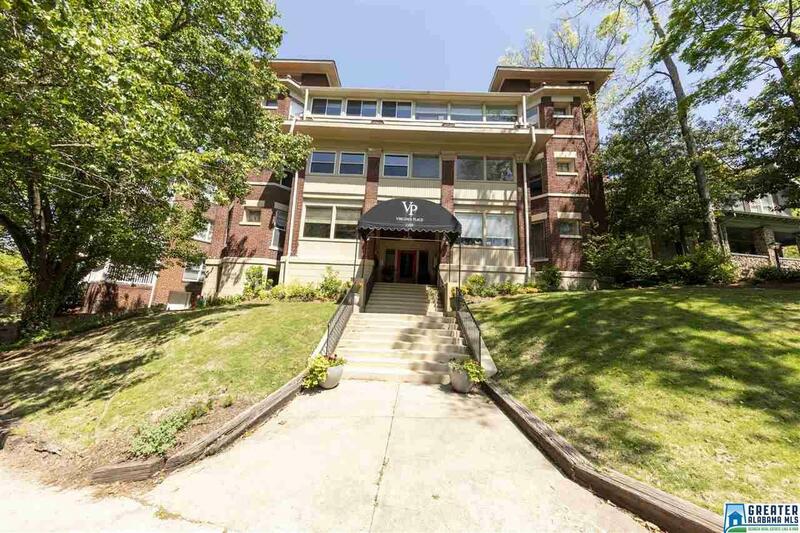 Located within 5 minutes of downtown, St. Vincent&apos;s or Homewood, units in this building are rarely available, so don&apos;t miss out! Driving Directions: On Highland Ave, Turn Downhill On 26th Ave S. Go 1 Block, Condo On Right Corner Of 26th And 11th Ave S. Virginia Place Condo. Driveway Is To The Left Of The Building. Enter From Back, Top Floor, Unit 6.